When competing for a share of shoppers’ hearts and wallets, promotions are a good way to increase traffic and sales, which in turn can help you become more profitable. Promotions draw in new customers and infrequent shoppers, and all those socially-oblivious laggards who just don’t see the need to shop with you (until now ???? ). To help make your customer hunt a little easier, this month’s All Things Retail webcast talks about the kinds of promotions you can create with Retail Pro enterprise retail software. Retail Pro is designed to for ultimate flexibility so you can tailor your retail management software to your business operations, and the promotions capabilities in Retail Pro are no exception. These promotions can be used on their own or in any combination of promotions, which means you have total control over creating and testing as many diverse and complex promotions as your marketing team can throw at you. When you choose the type of promotion you will run, you get to set the activation rules that will trigger your promotion to be automatically applied to a customer’s transaction. You can set the start and end date and determine to which products the promotion will apply. You can also choose to activate the promotion for all or distinct subsidiaries, brands, countries, or business entities within your enterprise. If the customer meets a particular qualification, i.e. if the customer is part of your loyalty program, etc. These validation rules allow you to cast the promotion for as broad or as targeted a group as you determine is profitable for your business. Once validation rules are set, you can then set the reward rules, which determine what reward and how much of it the customer would get for meeting the reward rules. Retail Pro POS tracks the redemption of the reward, helping you get a better report on the promotion’s performance. Careful planning and solid promotions tactics can play a significant part in converting a shopper from someone who’s only ever walked past your store to a repeat customer who loves the way your products fit their life and will buy from you even when you’re not having a sale. So how do you create the kind of promotions that encourage good shopping habits? 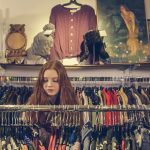 That may be a question for business psychologists and your marketing team, and definitely will depend on your business’ unique circumstances and brand value in consumers’ eyes – but it’s evident that promotions impact retail operations in critical ways. Historical data sets tracking sales during and after promotions show that customers resume normal purchase habits once a promotion is complete. Whatever your promotions strategy, it’s best to think long term – creating customer purchase habits rather than simply meeting this quarter’s sales goals. 1. Promotions create buzz; buzz creates customers. JC Penney abandoned their long-lived coupon strategy in favor of everyday low prices and experienced disheartening sales and earnings. At a time when everything is accessible for less on Amazon, JC Penney’s coupons played a critical role in generating the buzz that would bring shoppers to their stores. Once that buzz fizzled away, so did discount-trained shoppers, and everyday low prices became everyday low sales. 2. Supply chain and replenishment blunders can cripple promotion performance. Promotions put pressure on your supply chain operations and retailers are often left with an unprofitable inventory glut or lack in the post-promotion period. Sales exceeding your forecast sounds like a positive problem to face, but stock outs leave mean lost sales both during and after the promotion. Retailers must be responsive and on top of their replenishment game. Of course, for some retailers, stock outs are part of the strategy to create buzz. Ty in the 1990s stringently controlled the supply of Beanie Babies available to the public, even discontinuing toys rising in popularity to spur frenzied sales over scarce supply. Promotions influence sales for other products, and smart inventory management can help you maximize its positive effects. When preparing for the promotions period, order more complementary, non-competing products, since basket analysis often shows a lift in sales of these items due to the halo effect. For example, a promotion on jackets can cause an increase in scarf sales in cooler months. The same promotion can cause cannibalization of sales for items in the same category, so order less of the competing item for the period of the promotion. The pull-forward effect can also impact post-promotion sales, especially for commodities like laundry detergent, which has a long shelf life. This occurs when shoppers stock up on the sale item, causing a hiccup in their regular purchase frequency and therefore lower sales in the months following the promotion. Promotions are important elements in the retailer-customer relationship, and how you set expectations today can impact how your business performs for decades to come. In any case, you can count on Retail Pro to give you the flexibility you need to create the promotions strategy that makes most sense for your business.